Kingsman star in talks to play the villain in Shazam! 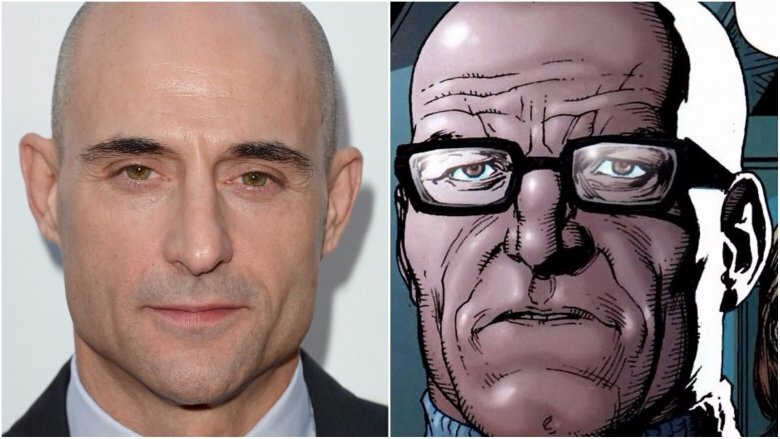 The cast for DC's next superhero adventure is coming together as the production is eyeing Mark Strong to play the role of a mad scientist villain in its upcoming Shazam!, according to TheWrap. Reportedly, Strong is in talks to play the character of Doctor Sivana, the arch nemesis of Shazam who was first introduced to comic book readers in 1940. He was the first of Shazam's enemies to uncover the superhero's true identity as Billy Batson, a young orphan boy in Philadelphia who gained the ability to become Earth's Mightiest Mortal from a powerful wizard. Sivana was also known at times forming alliances with Black Adam, another DC villain and foe of Shazam's who will be played by Dwayne Johnson in an upcoming movie. Shazam! is being directed by Lights Out and Annabelle: Creation director David Sandberg, starring Chuck's Zach Levi in the lead role. The director has said he intends for the movie to be fun and lighthearted, a contrast in tone with the more dark and grim movies preceding it in the DC Universe like Batman v. Superman, Suicide Squad, and even the World War I-set Wonder Woman. Filming for Shazam! is slated to begin in February 2018, with a release to follow sometime in 2019. Strong was recently seen playing Merlin in Kingsman: The Secret Service and its sequel The Golden Circle, and has also had starring roles in The Brothers Grimsby and Miss Sloane, as well as the TV series Low Winter Sun on AMC. He also previously portrayed the DC villain Sinestro, starring opposite Ryan Reynolds in 2011's Green Lantern. Strong's next television role will be in the eight-part thriller series Deep State for Fox Networks Group. He is also starring opposite Paul Rudd in the upcoming ensemble drama The Catcher Was a Spy.